I often get people asking me why certain developments in Bangkok are priced differently when they may be just a street away. 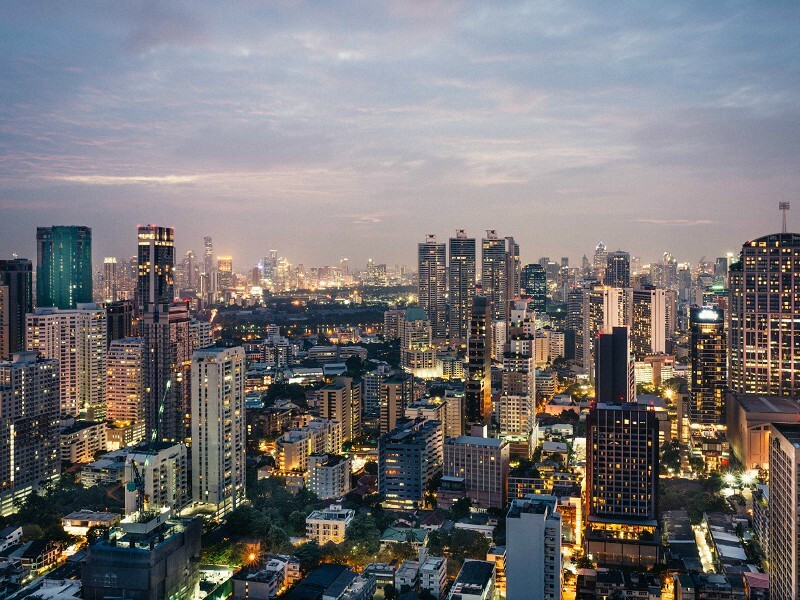 There is very little information on Bangkok property prices and this can cause some confusion for property investors. There are many factors that can determine a property price and in general, these factors are similar across many property markets. Some of these factors are unique to the Bangkok property market and it would serve property investors well to know some of these factors before investing in Bangkok property. This is perhaps the most important factor in determining the price of a condominium. A property that is located in the Sathorn, Silom, Ploenchit area is going to cost a lot more than one that is located at Punnawithi or Bang Sue. That being said, the prices in such central areas may not have the potential for large upside in price increases as compared to those in the outskirts. Buyers looking for a property for their own stay would like to purchase something that is close to their workplace or close to amenities. Tenants who are looking for a looking for a place to rent would most probably think in the same manner. If you are looking for an immediate return and would like your unit to be rented out quickly, purchase a property in a good location. Bear in mind that a good high-end condominium in central Bangkok is not cheap. For a 2 bedroom unit at the ultra-luxurious 98 Wireless, prices start at approximately USD$2.5 million. Even properties in the Rama 9 area where the new Central Business District (CBD) of Bangkok is situated are starting to get expensive. A one bedroom unit in Rama 9 would cost approximately THB6.5 million. If you are looking for possible large price appreciation, then it would serve you better to buy something in a developing area. As a general rule of thumb, the newer the development, the higher the price. Home buyers would like to live in something that is new. Tenants have the same mentality. This is the reason why prices of new developments are more expensive than the resale units on the market. How developers mitigate the increase in price per square meter would be to make the units smaller. Thus the absolute price that you would pay is the same as the older, larger unit. 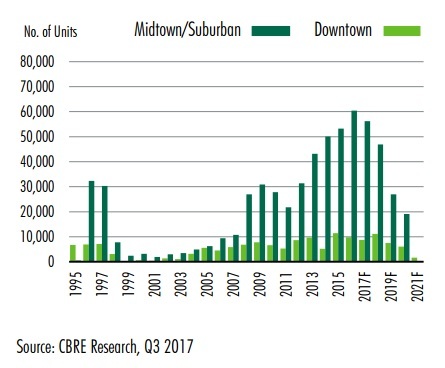 That being said, many buyers do find that prices of certain resale units are a lot less than the newer developments. This can be attributed to the fact that buyers and tenants just prefer a new unit. It would be a lot easier to rent out new units due to the fact that the developments look and feel new. Also, newer developments are usually fitted with the most up to date facilities. For example, there are developments with rooftop cinemas and underwater stereo systems in their swimming pools. If you are looking to purchase a property in Bangkok and rent it out, it would be extremely wise to purchase something new. There is a stark difference between the new and older developments in Bangkok. More so because there was an inflexion point in the quality of developments in Bangkok. About a decade and a half ago, developments in Bangkok were very simple and developers did not really have the technical or design know-how to create a high-end condominium with lifestyle features. Fast forward to today and after a decade of learning and partnering with overseas developers from countries like Japan and China, the quality of developments in Bangkok is extremely high today. Tenants in Bangkok, more than most other places, look for swanky new condominiums with lifestyle features. If your condominium is old, dated and has limited facilities, it may be difficult to find a tenant. In Bangkok, there are different grades when it comes to condominiums. There are many ways to classify these grades of condominiums but generally, I would classify them into 4 sectors. For most large developers, they would name their developments based on a certain name. For example, Sansiri has the Line series which they are co-developing with the BTS group. These names attached to a series of condominiums usually depict a certain grade of condominium. These grades of condominiums would then correspond with the demographics of the people living in that development. First, you have the mass market condominiums. These developments have simple finishing and limited facilities. As Thailand does not have a good government subsidised housing system like the one in Singapore, these serve as a form of cheap and affordable housing for the local Thais. Such developments are also sold as condominiums and usually, there are foreigners who purchase units in such developments. However, because these developments are catered for the local market and never intended for the foreigners, most of the owners are local Thais who purchase for their own stay. Usually, there is a swimming pool and perhaps a gym in such mass-market condominiums. Tenants from international companies will seldom want to rent these properties. The usual tenants are the local Thais. The rental rates for these condominiums are also much lower. These are perhaps the bare minimum that foreign investors should be looking at. These developments are generally still marketed to the local market but there are efforts to try to bring in foreign buyers to the development. The facilities are a little more upmarket than the mass-market condominium but the finishes are still rather ordinary. The usual tenants for such developments are the local Thais that are working in the CBD and the foreigner who is looking to retire in Bangkok. Once again, the rental rates for these condominiums are lower. Many of these condominiums end up being used for short-term stays and in some cases, they may be converted into units for rent on websites like Airbnb. Such short-term stay may yield higher rental returns but they are not legal. The building management has to have an innkeeper’s license before operating the development as a place for short-term stay. I will always advise not to think of purchasing a condominium for the purpose of renting it out for short term stay. As a foreigner, it may be difficult to deal with legal matters once you run afoul of local Thai law. This is the type of condominiums that foreign investors should be looking at. These developments are built and marketed to overseas clients as well as the Thais that are holding executive positions in their companies and can afford such developments. In my opinion, the only reason why the Thai market is involved is the fact that 51% of the development has to be locally owned. These developments have very quality finishes from brands like Kohler and usually come fully fitted and fully furnished with high-end electrical appliances from brands like Samsung and Electrolux. Since the target market is the overseas investor, these developments usually come with a certain degree of concierge service as well. These condominiums also have comprehensive facilities like a good size swimming pool, a well-equipped gym, function rooms, meeting areas and shuttle services to the nearest train station or place of convenience. They may also have unique facilities like a spa, rooftop cinema, dining hall among other unique selling points. These are the type of developments that tenants from multi-national corporations will be interested in renting. You will be attracting clients from companies like Huawei, Unilever, AIA among a host of many others. The rental rates are higher and the tenant profile is a lot better. This is the type of condominium for ultra-high-net-worth individuals. One of the developments as mentioned previously is Sansiri’s 98 Wireless. These developments are extremely detailed in their finishing. They only use high-end material and appliances and these developments can rival just about any luxury development in the world. The bulk of the people who will be buying these developments are the extremely rich local Thais as well as the extremely wealthy and famous individuals from around the world. If you are looking for a development to flaunt your wealth, this is the type of development to purchase. That being said, because of the high price of such developments, the rental yield is still not as strong as those in the investment grade category. However, in my opinion, due to the scarcity of the number of such types of units, there should be a good chance that prices will gradually creep up further. In one of my previous article, Thailand Property Market Outlook for 2018, I spoke about how there was an oversupply in the mass market property segment in Bangkok. This is the chart from CBRA which shows this oversupply. They classify the properties into midtown/suburban and downtown. Thus I would advise property investors to take a look at the investment grade and luxury grade condominiums. In Bangkok, this is rather important. Buyers tend to favour large, listed developers rather than smaller, lesser-known names. The same can be said for tenants. There are tenants who would want to rent developments built by a certain developer. This is because the condominium market in Bangkok is not as mature as other markets like in Hong Kong or in Singapore. The quality from a well-known developer can be substantially higher than the one from a small to a mid-sized developer. That being said, this gap is slowly narrowing as small developers are starting to put out developments that can rival the big boys. The price difference when compared in absolute terms may not be substantially more when purchasing from a larger developer and thus I would advise doing so. High rise developments tend to be priced higher than low rise developments. In Bangkok, buyers and tenants tend to favour high rise developments for a variety of reasons. If the property has a good view, it would tend to command a premium. When possible, do consider purchase a high floor unit with a good view in a high rise development. That being said, this factor in price determination is not as strong as the ones previously discussed. In Thailand, foreigners are only allowed to own up to a maximum of 49% of a development. When the foreign quota is fully sold, the remaining units in the development can only be sold to locals. Developers may slash prices to entice local buyers to purchase the remaining units. Foreigners are not eligible for these units and should never put a deposit to try and book these units. I have seen cases whereby certain foreign buyers have placed deposits for such units on the basis that they were cheap. These deposits were either never refunded, partially refunded or it took an extremely long and arduous process to get a refund of the deposit. I have been bullish about the Bangkok property market since 2013 and since then, prices have appreciated quite a fair bit. In my opinion, there is still room for appreciation and there are a lot of developments happening in Bangkok. However, as a property investor, it is very important to understand and identify the grade of a development and also to pay the right price for the right property.